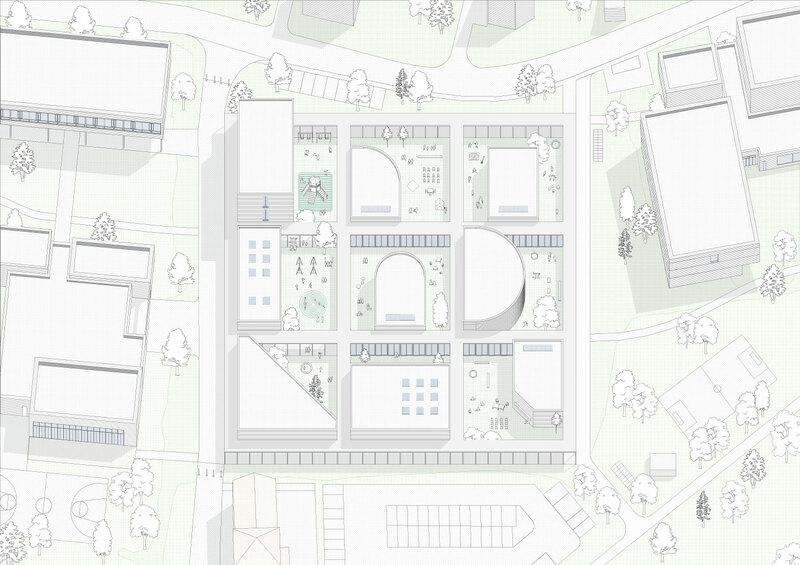 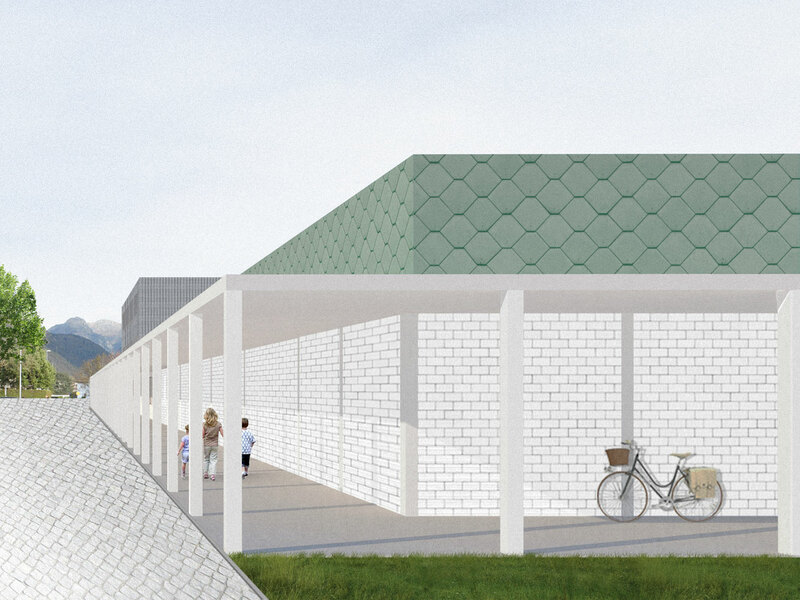 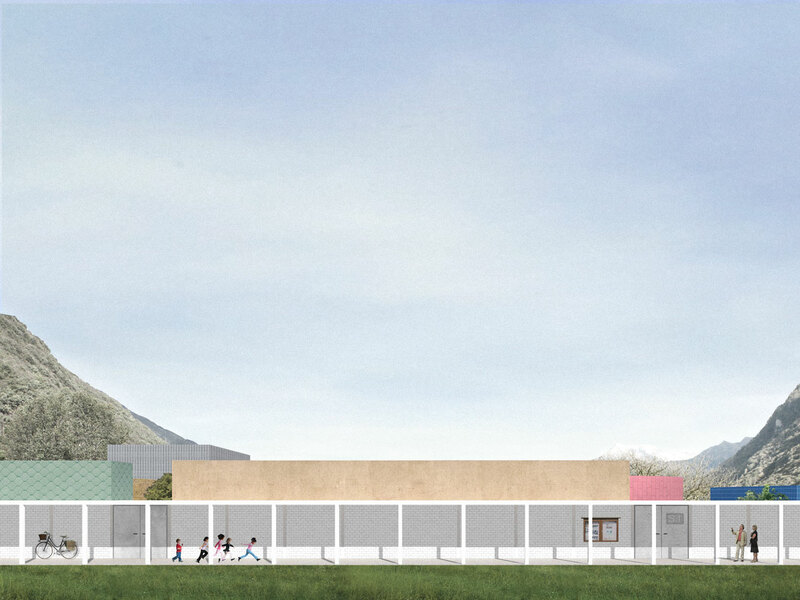 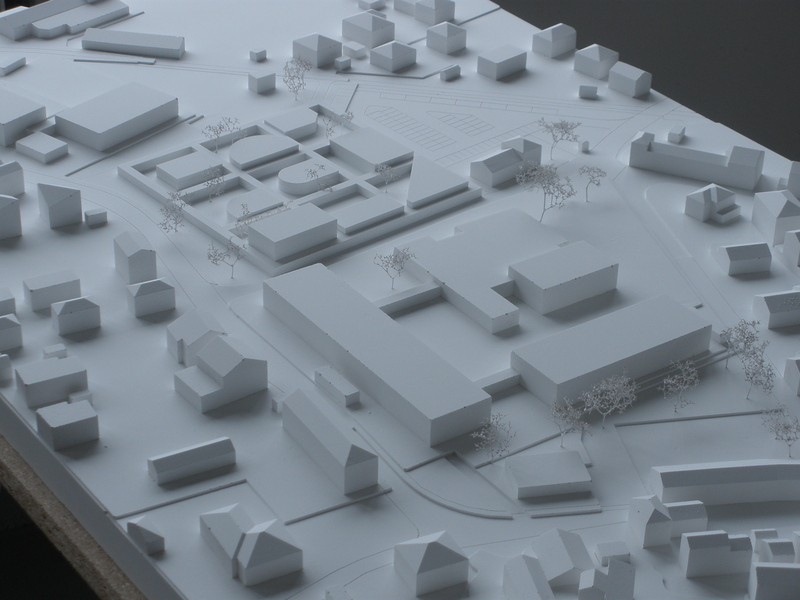 The project involved the whole campus in Bellinzona, reconsidering the masterplan and improving the energy efficiency of the secondary school. 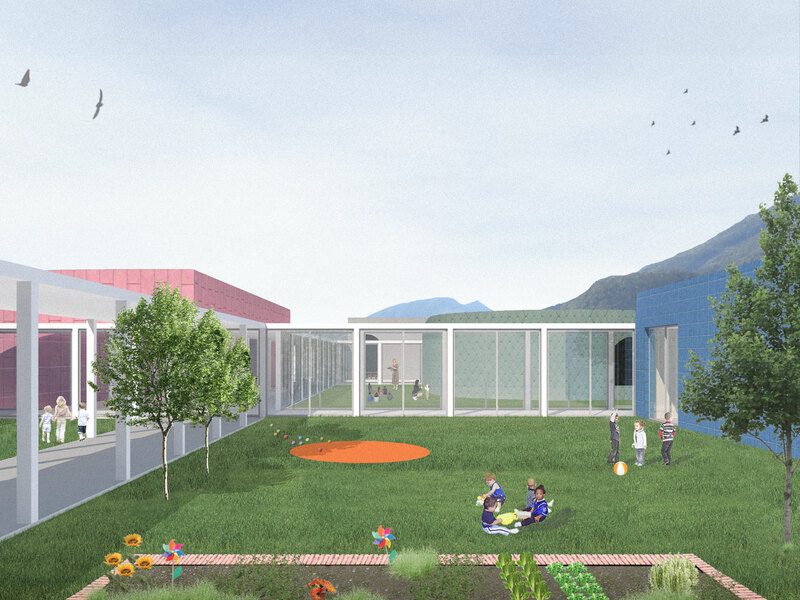 The idea behind the new kindergarten is to break down the program by identifying the main elements: teaching units, functional areas of the kitchen and service, common spaces for canteen and for activities. 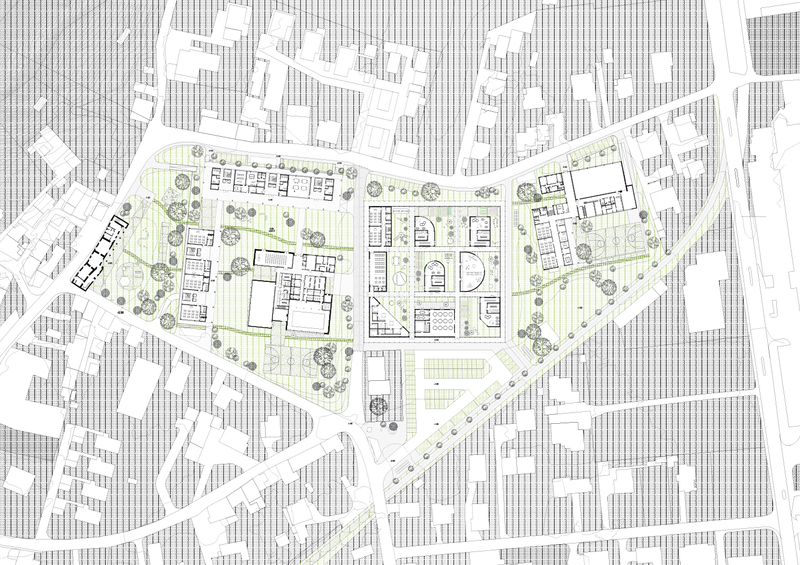 All these elements have been incorporated within a fenced and protected area, and divided, through a system of covered and openable corridors, in nine different gardens.